Grab your camera and get ready for wild encounters. All packed inside a handy knapsack! 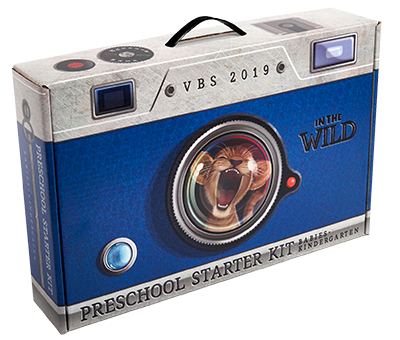 Unpacking LifeWay’s VBS 2019 In the Wild Jump Start Kit from LifeWay VBS on Vimeo. and Worship Rally content for In the Wild! Prepare for one class of Babies–2s, one class of 3s–Pre-K, and one class of kindergartners with the Preschool Starter Kit! Includes: one 3s–Kindergarten Rotation Pack filled with activities just for preschool rotations, one leader guide per age group, one leader pack per age group, one Keepsake Book for use with Babies–2s, and two Field Guides: 3s–K for 3s–Pre-K and kindergarten. Order extra leader guides for additional leaders and one Field Guide for each child. Easy distribution! The items each age group leader needs to teach are packaged together by grades in the Kids Starter Kit. Inside you’ll find one of each rotation leader guide and one Bible study leader guide, one leader pack, and one Field Guide packaged together by age group (grades 1–2, grades 3–4, and grades 5–6) for easy delivery to leaders. Simply hand out the packets to your age group leaders. Order extra leader guides for additional leaders and a Field Guide: Grades 1–6 for each child. 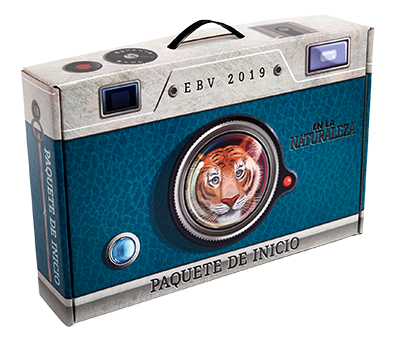 El Paquete de Inicio del EBV 2019 contiene el currículo y los accesorios en una sola caja. To better help you and your VBS event be as successful as possible we have developed a vast array of FREE VBS Resources! Revealing Jesus through every aspect of VBS. LifeWay’s gospel-centered and expert-vetted VBS prepares your leaders with trustworthy Bible-teaching. Your kids will have a blast while every activity, Bible lesson, and song points them to Jesus. For many churches, VBS is the number one evangelistic opportunity of the year! Recent research reveals the incredible impact VBS has on kids, students, adults, and families. 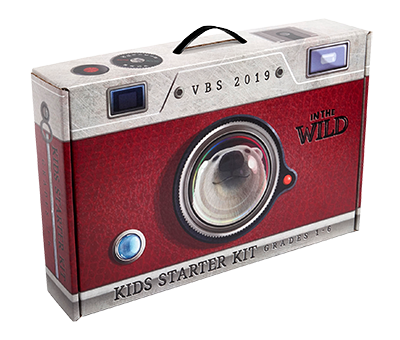 Click below for quick snapshot of a few ways your church and community can benefit from VBS!